Note: A generic local engine-id must be configured. Otherwise (e.g. when the MAC is used) SNMPv3 will not work in cluster configurations. After configuring the engine-id, committing the configuration might be required because the engine-id is involved in the key generation below. 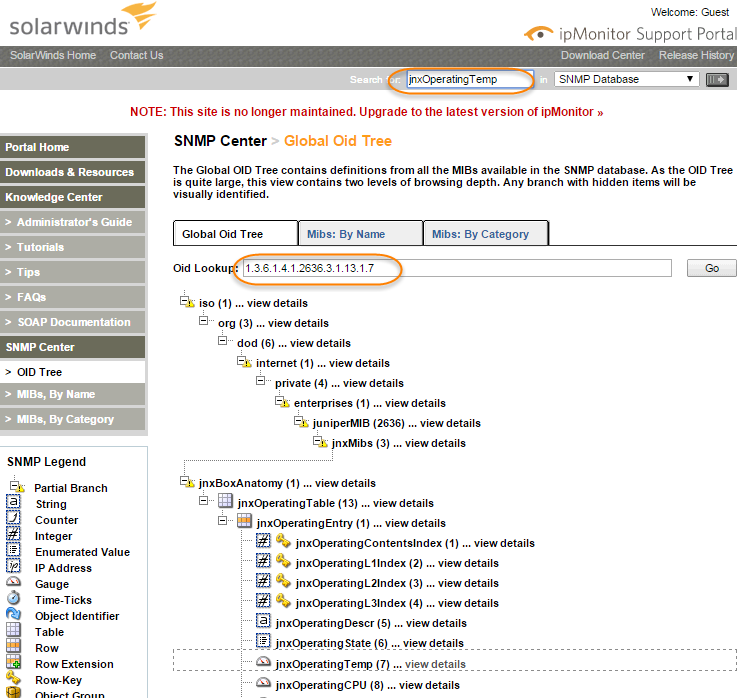 To make NSM work with SRX, location and contact should not be set. Else, after the configuration imported into NSM, when you push policy from NSM to SRX, snmpv3 anthentication password and privacy password will be changed. PRTG can be easily integrated into your network monitoring system and execute comprehensive monitoring tasks. Also , alerting feature is quite flexible to meet your organization needs. 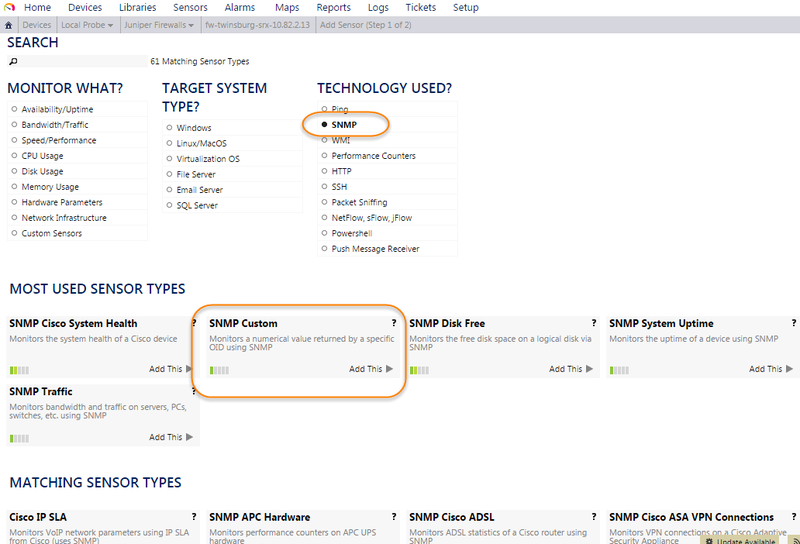 Even one normal windows server can monitoring thousands of sensors without problem. Then you can add your network devices with inherited configuration. 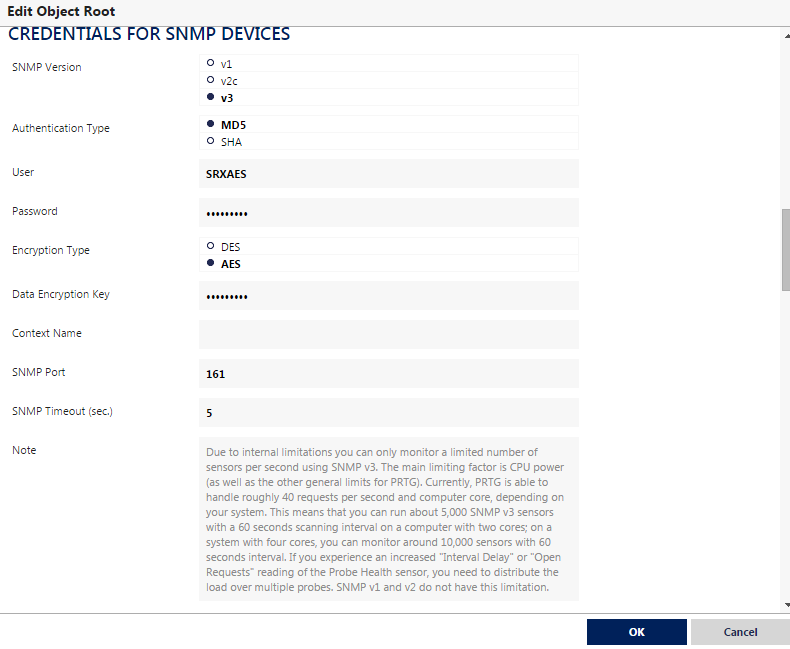 All new device will get same snmpv3 configuration. 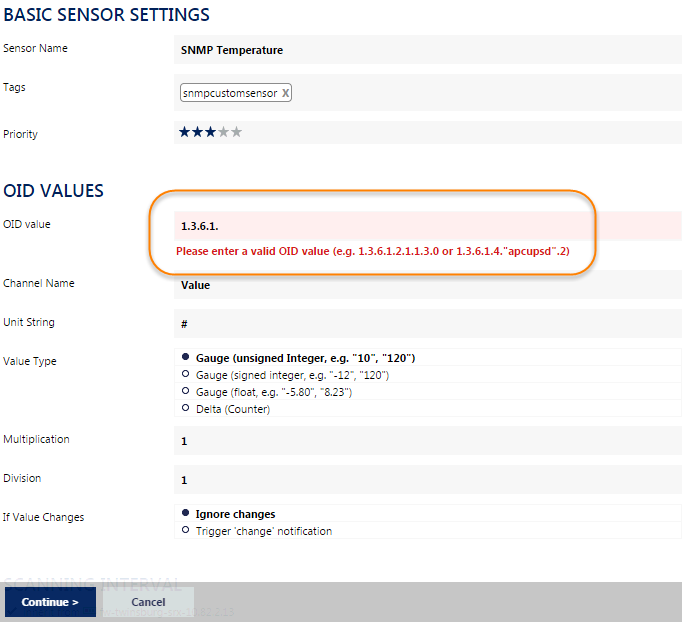 Following instruction on the screen to add sensor for your network devices, you will need to pick SNMP category's SNMP Custom type sensor. In the basic sensor settings, the most important thing is OID values. You will need to know exact OID number to make your own monitoring sensor in the PRTG. From Show Chassis Routing-Engine, there are different type of temperature for cpu and chassis , also for different node if it is cluster configuration. 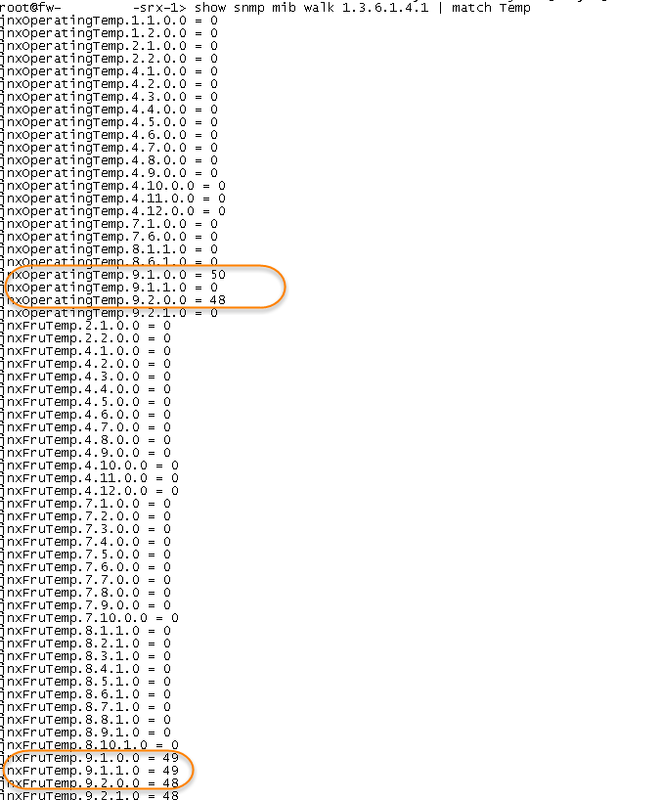 In this case, jnxOperatingTemp.9.2.0.0 is 1.3.6.1.4.1.2636.3.1.13.1.7.9.2.0.0. That is exactly OID we need for this monitoring. After checked the thresholds for temperature as shown in below, we will build an alarm email. 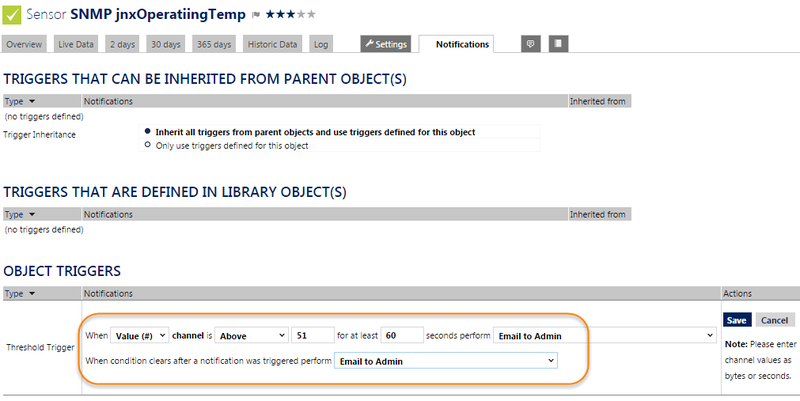 Based on this Object Triggers set up, once the JnxOperatingTemp sensor's value is above 51 for 60 seconds, an email will be sent out to admin.